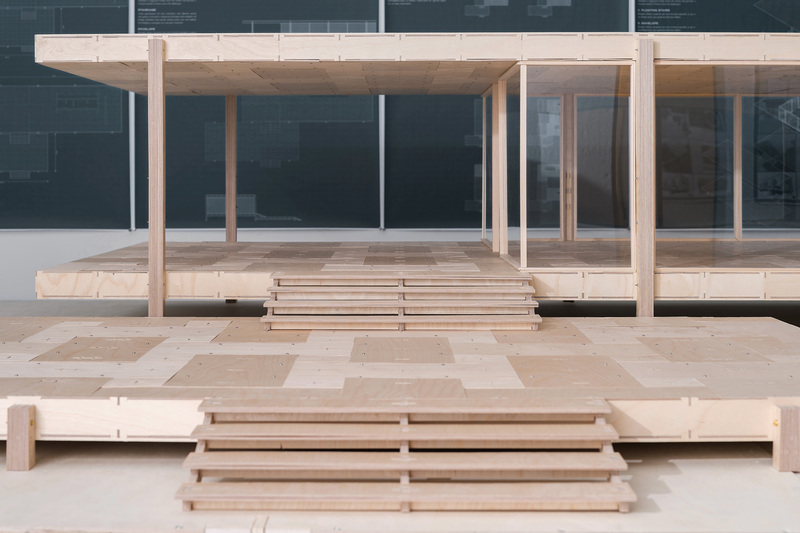 As we designed the digitally fabricated Farnsworth House superstructure of A Mies for All, we wanted to test and evaluate the concept of manufacturing and construction assembly. 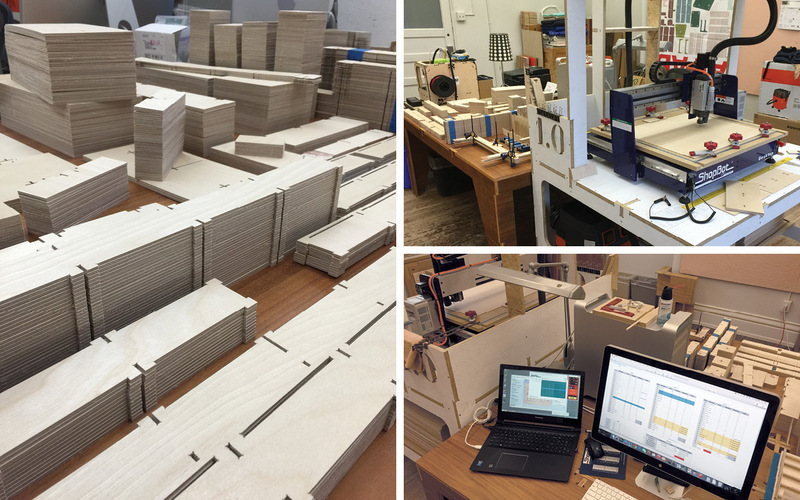 Since building a full scale house to validate the structural concept was out of the question, we planned out a scale prototype made of 2.5mm plywood and cut with a 1/32” diameter endmill on our ShopBot desktop CNC router. 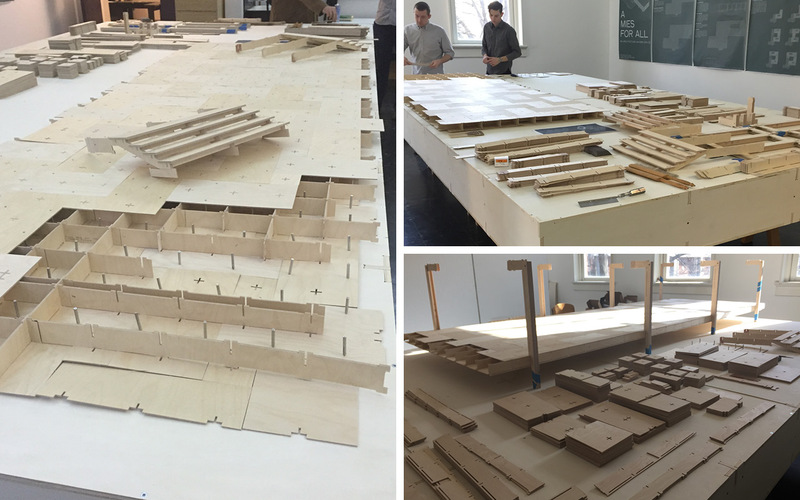 In contrast to the architectural models that we usually build to represent and communicate a building, this model is not a model, but rather, a scale simulation of the actual building. It’s a seemingly minor distinction that changes everything. Each toolpath deployed to mill parts for this 1:10 prototype can be applied to ¾” plywood and a ¼” endmill on a standard 4’x8’ CNC router, to produce a full scale house. In addition to testing the manufacturability (and repeatability) of every part and assembly, we also tested how intuitive the AMfA construction process could be. Our fearless research assistants Chris Westfall and Stephen Schwab built the entire 1:10, using nothing more than the digital model as a reference.